Story: In much of the world, you can easily see Snoopy on clothes, handbags, jewelry, and much more, but did you know that this family dog is part of a popular comic-strip family? You can see many of their adventures in cartoon form, but the most popular is probably the award-winning story of their Christmas. 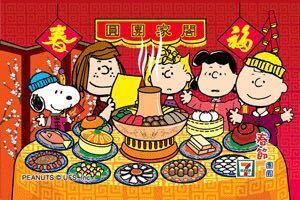 Snoopy: Charlie Brown’s dog (a beagle), though he acts almost like a person in these cartoons, and he has a great imagination! Note 1: Charlie Brown (they always use his full name) has come to symbolize the child who is unpopular because of his looks, handicap or reputation for “bad luck.” Things don’t naturally “go right” for this character, but he never gives up. This optimism in the face of difficulty has given Charlie lots of fans for over a generation. Christ: to many Jews and Christians, the “Christ” (Greek) or “Messiah” (Hebrew) is one sent from God to restore God’s rule on earth by first saving people from sin and then being their king. security blanket: literally, a young child’s favorite blanket or toy, carried to provide a sense of safety; figuratively, whatever gives you a similar sense of protection or psychological security. Studies show that a lot of people get depressed during or just after holidays like Christmas. Tell your partner why you think this happens, and what depressed people should do about it. 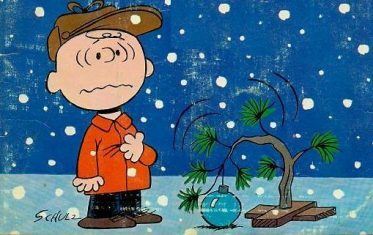 According to Charlie Brown’s friend Linus, what is Christmas all about? Explain it to your partner. Charlie Brown refused to “just go along” (agree) with what everyone else thought was normal when he felt sure there was something better or more meaningful available. When it is good to “go along” with everyone around you, and when is it better to find or make your own way? 1. Charlie Brown: I think there must be something wrong with me, Linus. Christmas is coming, but I’m not happy. I don’t feel the way I’m supposed to feel. I just don’t understand Christmas, I guess. I like getting presents and sending Christmas cards and decorating trees and all that, but I’m still not happy. I always end up feeling depressed. Linus: Charlie Brown, you’re the only person I know who can take a wonderful season like Christmas and turn it into a problem. Maybe Lucy’s right. Of all the ‘Charlie Browns’ in the world, you’re the Charlie Browniest. 3. Lucy: Snoopy, you’ll have to be all the animals in our play. Can you be a sheep? Lucy: How about a cow? Lucy: How about a penguin? Lucy: Yes, he’s even a good penguin. Lucy [throwing Snoopy off her head]: No, no, no! Lucy: Listen, all of you! You’ve got to take direction! You’ve got to have discipline! You’ve got to have respect for your director! [Then, noticing that Snoopy has been mocking her…] I oughta slug you! Lucy: Ugh! I’ve been kissed by a dog! I have dog germs! Get hot water! Get some disinfectant! Get some Iodine! Snoopy [sticks out his tongue]: Bleah! 4. Charlie Brown [after his classmates laugh at his “Charlie Brown Christmas tree”]: I guess you were right, Linus. I shouldn’t have picked this little tree. Everything I do turns into a disaster. I guess I really don’t know what Christmas is all about. [shouting in desperation] Isn’t there anyone who knows what Christmas is all about? 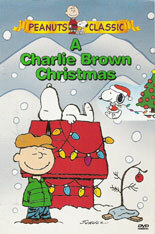 Linus [after picking up his blanket and walking to Charlie Brown]: That’s what Christmas is all about, Charlie Brown. Resources posted at EFLsuccess.com were created for our students and other English-learners/educators under our understanding of “fair use” for educational resources, and do not imply any consent from or relationship with any web-hosts, universities, on-line services, publishers, producers, etc. ©2015 Michael Krigline. As far as I am concerned, people are allowed to print/copy EFLsuccess.com materials for personal or classroom use, if used in accordance with our Website Standards and Use Policy.